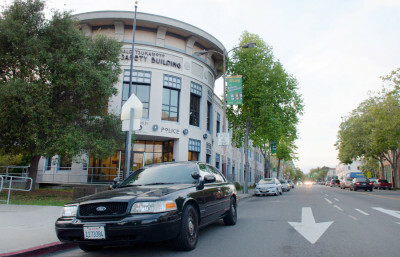 Berkeley’s civilian police oversight commission unanimously moved to reinstate a process of commending deserving police personnel at its meeting Tuesday night. The process will allow the Police Review Commission to publicly praise police officers who go “above and beyond,” according to Alison Bernstein, vice chair of the commission. The city of Berkeley and the commission are in the midst of ongoing litigation with an officer and a police union after confidential PRC findings from an in-custody death case were leaked to The Daily Californian. In the commendation process, a list of officers’ names will be included in the commission’s agenda packet. The commission also moved, by consensus, to establish a separate process for internal commendations within the police department, where an officer or supervisor might praise another officer and include their name. Any civilian can write a letter to any member of the police department to voice their appreciation for a particular officer’s performance, said PRC Officer Katherine Lee. In the past, these letters were often not sent directly to the chief, but traveled through an email chain before being placed in an officer’s personnel file. “What had happened is we had gotten collections of letters in the past with all other emails attached that aren’t exactly relevant, from being forwarded to another person and supervisor,” Lee said. Although the process of recognizing exemplary police officers in commission meetings existed previously, letters came in only about three times a year and often in enormous packets that were costly to print and difficult to sift through. According to Lee, the process operated until about five years ago, when a former PRC officer suspended the commendations, mainly due to the high volume of letters and the printed email chains that came with them. Bernstein felt that a distribution of commendations to the commission needed to be resurrected and that these commendations should be reflected in the public record. The commission agreed to extract the essentials out of these large packets, locating the letter of commendation and publicizing the officer and his or her reason for being commended. BPD Officer David Bartalini voiced his support for the commission’s action. He expressed that including commendations in the agenda would show the public that the commission is not only there to investigating complaints, but also to build a “spring of good will” in the community. 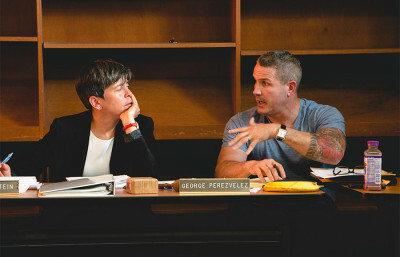 The police department also continued presenting its midyear crime report at the meeting, delineating response strategies used to prevent crime through outreach education and cultivating the department’s reputation for crime-fighting. The department uses Nixle, a free service for subscribers, which disseminates ongoing crime updates throughout the city to the community. More than 2,400 individuals subscribe to the service. In a brochure for the approach, police suggest landscaping or installing lights and walkways on private property to suggest to criminals that a person is present and can report criminal activity they witness. Bo Kovitz covers city news. Contact her at [email protected] and follow her on Twitter @beau_etc.